Unlike some of our competitors, TRAXXALL’s “peer-to-peer” analyst service is staffed 24/7/365 by aviation experts who are A&P mechanics and have actually worked on Bombardier Learjets, Challengers, CRJs and Global Express. Vittorio Armenti, Vice-President of Quality Control and 25-year veteran of the aviation industry was a Manager in Bombardier’s Smart Services Group. Alex Li who is a former airline Head of Compliance and a Challenger 850 expert. 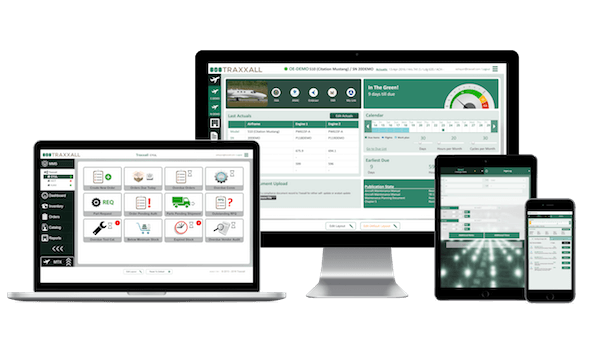 Whether you operate Learjet, Challenger, CRJ or Global Express series aircraft in your fleet, TRAXXALL provides the customization, flexibility, data accuracy, and expert analyst support you need from your aviation maintenance software. In short, we know what you need from us because we have been in your shoes, we have worked on Learjet, Challenger, CRJs and Global Express series aircraft, and we understand the day-to-day challenges of maintenance teams.